What is an Embedded Profile? A bit of information about Colour Management. Colour Management in a bit more depth. A bit about Colour Depth and Bits! 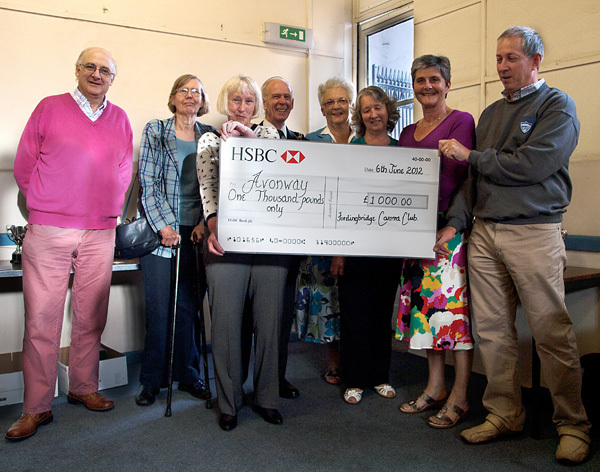 The Spring Exhibition income was doubled and donated to Avonway for the restoration fund. The delivery of the cheque to the representatives of Avonway with the Mayor. From left to right: Alan Brown, Janet Brown, Maureen Burt - all members of Avonway Committee, the Mayor Malcolm Connolly, Helen Tague, Avonway Manager and Sue Witt, Deputy Manager. Nora Waygood, the event organiser and Mike Whatmore, club Chairman. The Fordingbridge Camera Club held a very successful Spring Exhibition, to which all members submitted works. This attracted some 300 visitors from Fordingbridge and further afield. The exhibition had a number of aims: to enable all members of the Club to display their work and to let local people see what they had achieved, to further strengthen the feeling of community within the club and to raise money for the Avonway Community Centre - the venue for our meetings. This raised £500 and the club donated a further £500 to assist in the Avonway Refurbishment Project.